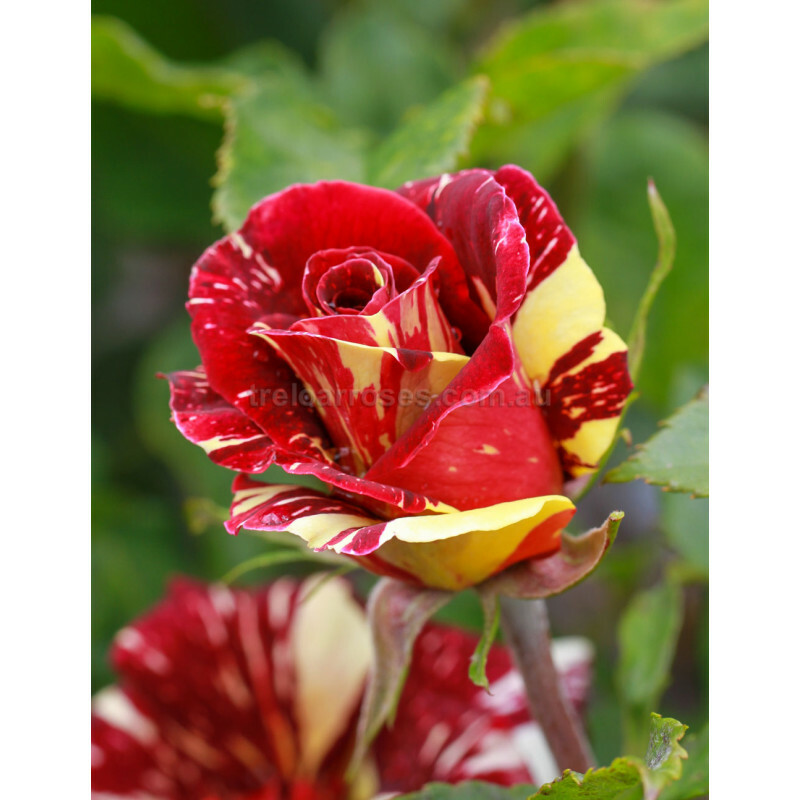 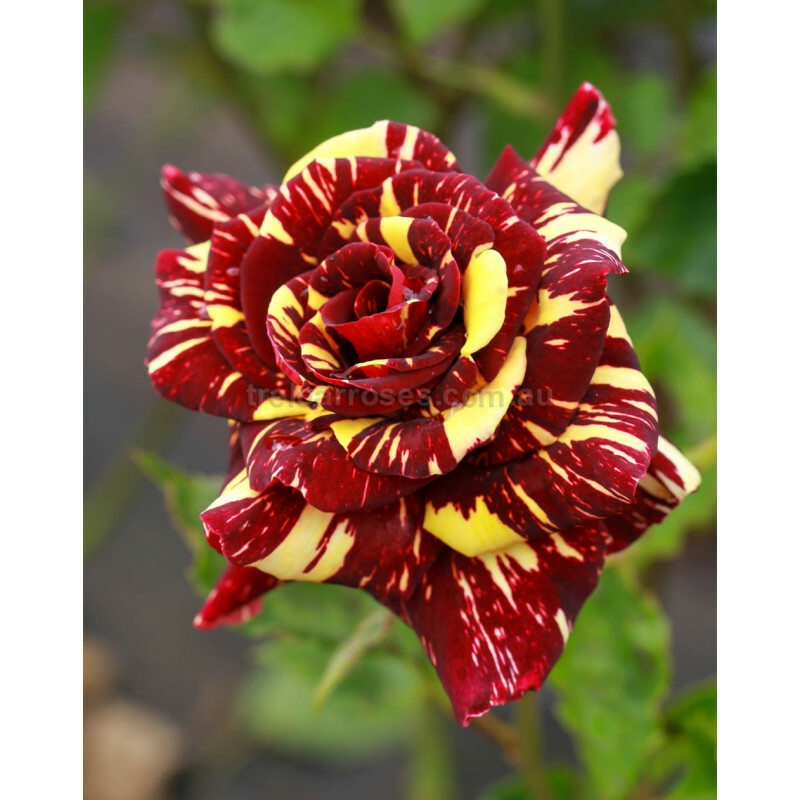 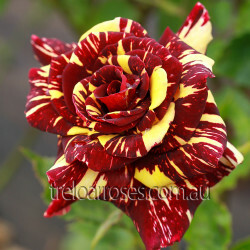 Abracadabra (Korhoesel) - An extraordinary and exciting striped colouring of red and yellow, whereby each bloom magically displays its own individual colour combination. This novelty variety draws attention wherever it is displayed. 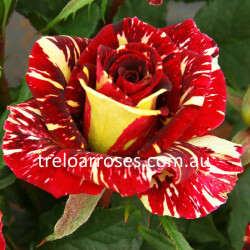 Small to medium sized blooms.